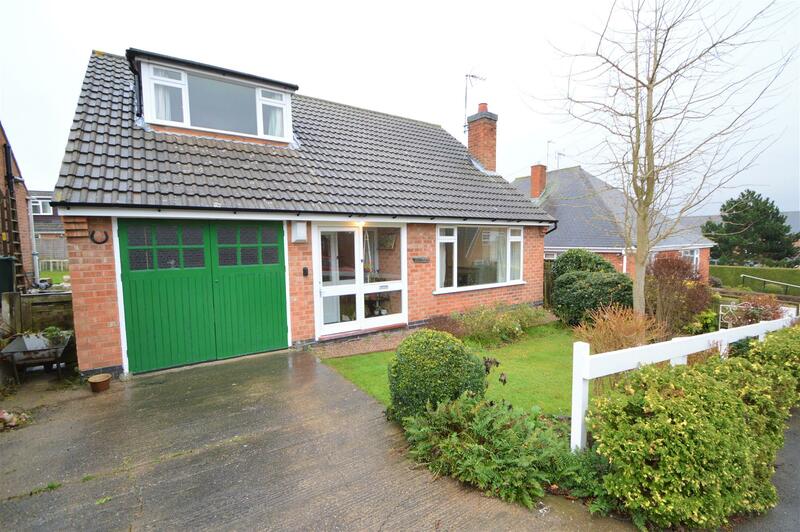 Benjamins Estate Agents are pleased to bring to market this three bedroom detached bungalow on a premium road location, on offer to purchase with no onward chain. Situated in a popular residential area on Villa Road, Keyworth within walking distance of local shops, library, leisure centre, pubs and regular bus services to Nottingham and West Bridgford. In brief the property comprises, reception hallway, living room, kitchen diner, bathroom, additional WC upstairs, three bedrooms, integral garage, front and rear garden. In need of some modernisation. Carpet, radiator, Stairs to first floor and doors leading off to the living room. Single glazed window the front aspect, TV point, phone point, secondary glazed window to the side, wall lights, radiator and tiled fireplace with gas insert. Single glazed window to the rear aspect, carpet, ceiling light and radiator. Three piece suite comprising panelled bath, low level wc, pedestal hand wash basin with two taps, plumbed in shower unit over bath, window to the rear aspect, radiator and airing cupboard containing water tank. Frosted double glazed window to rear aspect, low level wc, wash hand basin, extractor fan and electric heater. Driveway providing car standing with access to single garage, area laid to lawn, flower and hedge boarder, small white fence and side passageway leading to rear garden. Double doors, frosted window to the side aspect, power and light.